On the occasion of the Yahrzeit (anniversary of death) of Rav Yitzchak Abulafia, the Torah-Box team is happy to share a glimmering of his life journey. One who speaks about the tzaddik on the day of his yahrzeit merits that the latter pray on his behalf. Light a candle and recite: "Lichvod Harav Yitzchak Abulafia, zechuto Tagen 'Alenu". May his merit protect all of Klal Israel, Amen! Born in Tiberias (Israel) in 1824, Rav Yitzchak Abulafia was a Rabbi and a Posek (halachic decision maker). In his youth, he relocated to Damascus with his father, and in 1869, he became the Rabbi of the Damascus community. Throughout his life, he tried to obtain a permit from the governor of Damascus to build a Jewish hospital in Tiberias. In 1888, under the orders of the government, the country closed its doors to Russian and Romanian Jews. Thus Rabbi Abulafia advised Jews to settle in Syria, get naturalized and thereafter, immigrate to Israel. Towards the end of his life, he returned to his hometown of Tiberias and surrendered his soul to the Creator in 1910. On the eve of Passover, Jewish butchers in Damascus decided to raise the price of meat. The Jews of the city were angered by this price increase, enforced right before the festival. A delegation of prominent representatives of the community visited Rabbi Yitzchak Abulafia, then Av Beth-Din of the city, and told him that the city’s butchers planned to raise the price of meat. In Damascus, people were accustomed to buying one lamb per family for the festival. Raising meat prices would particularly affect poor families. Rabbi Yitzchak Abulafia responded to the members of the delegation by issuing a decree to local butcheries, not only to avoid raising the price of meat but to lower it. The decree was announced to the butchers, who nevertheless decided to ignore the Rav’s request. On the eve of Pesach, people from the Jewish community stormed Damascus’ butcher shops to buy meat for the festival, but the butchers stubbornly held their ground, demanding higher prices. Members of the delegation turned to the Rav again, informing him that butcher shops refused to lower their prices. Rabbi Yitzchak Abulafia said: "If the butcher chief does not lower his prices, he will roll down to my house. " The chief butcher refused to comply and ordered the butchers to persist. After an hour, the chief butcher fell to the ground and rolled down to the Rav’s doorstep. Acknowledging this embarrassing situation, the butcher immediately bowed to the Rav and apologized. He begged the Rav to pardon and heal him and promised to return to the market on the spot and order that all butchers lower the price of the meat immediately. 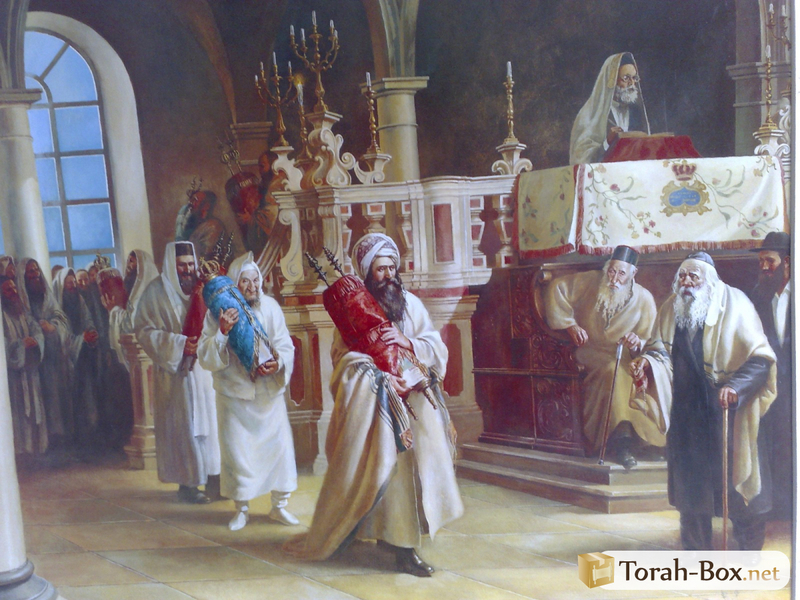 Rabbi Yitzchak healed the butcher, who returned to his butcher's shop, announcing a fall in the price of meat. All the people of the community could purchase meat for cheap and celebrated Pesach in dignity and joy. 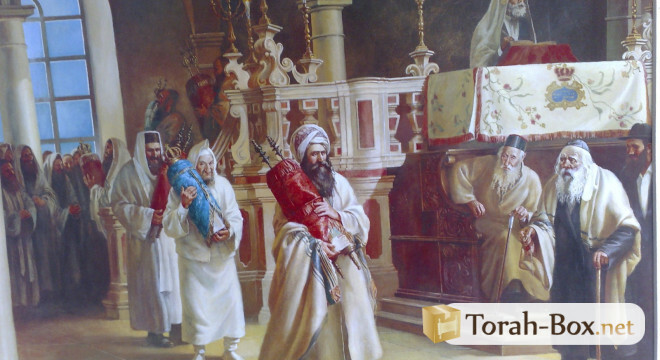 « Who Is Moshe Rabbeinu? Moshe’s birth: 7th day of Adar, in the year 2368 of Creation. His father: Amram, his mother: Yocheved, his elder brother: Aaron and his elder sister: Myriam. Who are the Tzadikim buried in central and southern Israel? What did they do during their lifetime and what are the Segulot associated with their graves after their death? Yahrzeit of Our Master, Rav Moshe Feinstein! On the yahrzeit (anniversary of passing) of our master Rav Moshe Feinstein, the Torah-Box team is happy to present to you his life course. 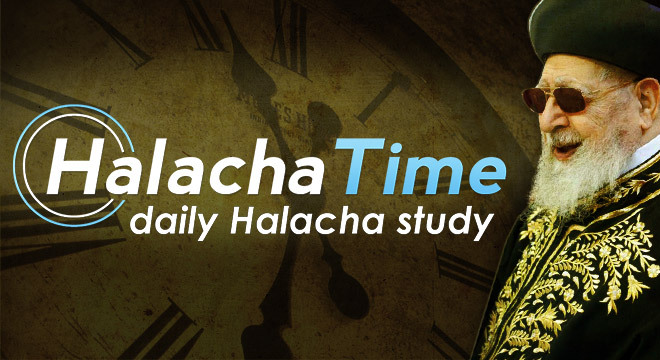 Halacha Time Class - Tuesday February 26th, 2019 (length: 6 minutes) given by Rav Yosef COWEN. In February 2018, one of the giant Rabbanim and scholars of our generation passed away; a Rabbi who worked all his life, tirelessly and devotedly to spread the Torah and the fear of Heaven - Rav Shmuel Auerbach zatzal.